Iran’s Human Right Lawyer sentenced to 38 yrs of imprisonment. Here’s Why ? Iran’s judiciary said it sentenced a prominent human rights lawyer to seven years in prison after she defended protesters against the Islamic Republic’s mandatory headscarves for women. 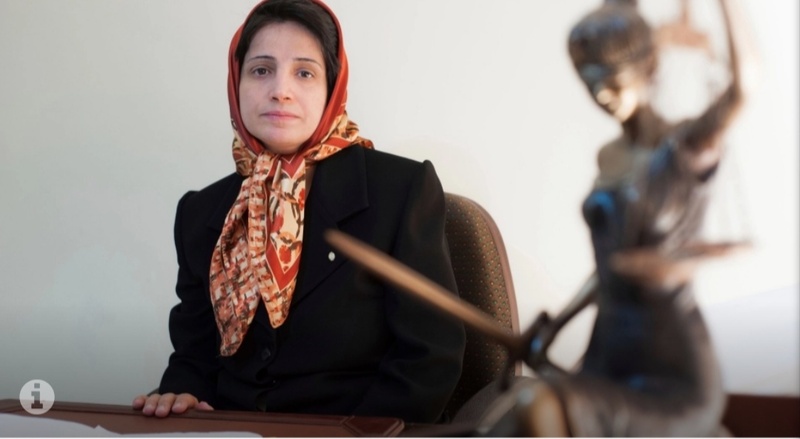 However, Reza Khandan, the husband of 55-year-old Nasrin Sotoudeh, said on Facebook that his wife’s verdict was delivered to her in jail and that it was “five years imprisonment for her first case and 33 years imprisonment with 148 lashes for the second case.” He did not elaborate. Earlier on Monday, 11 March, Iran’s semi-official ISNA news agency reported that Judge Mohammad Moghiseh had sentenced Sotoudeh to five years for “plotting against the state” and two more years for insulting Iran’s Supreme Leader Ayatollah Ali Khamenei.